Founded in 2010, a•pe•ri•od•ic‘s repertoire explores the indeterminacy of various musical elements including instrumentation, structure, pitch, and/or duration. Drawn to works of sparseness, contemplation, and quietude, this "daring group" (Chicago Reader) has a history of interpreting distinctive pieces using a collaborative rehearsal process, deriving meaning and intention from oblique prose scores with great sensitivity. Led by Nomi Epstein, the ensemble has commissioned, premiered, and recorded works by composers such as Michael Pisaro, Eva-Maria Houben, Jürg Frey, James Saunders, and Pauline Oliveros. a•pe•ri•od•ic released its debut album, more or less, featuring the music of Jürg Frey in 2014 under New Focus Recordings. The ensemble has received funding from the Swiss Arts Council, the Earle Brown Foundation, the Goethe Institute, and the Foundation of Contemporary Arts. Members of a•pe•ri•od•ic hold graduate degrees in music performance or composition from Chicago-area universities and conservatories, and are featured in other Chicago-based groups including Ensemble Dal Niente, Outer Voices, and Mucca Pazza. Nora Barton is a Chicago-based cellist and educator whose performance practice has surpassed the barriers established by classical training and allowed her to imbibe in a greater array of genres, with collaborations ranging from experimental improvisation to dancing around with an amplified cello in a punk marching band. In addition to her busy recording and performance schedule, Nora also organizes monthly concerts for Classical Revolution Chicago, providing accessible classical music performances in a variety of unexpected public spaces. Nora holds degrees from Roosevelt University and University of Cincinnati-Conservatory of Music. Flutist Eliza Bangert is in demand throughout the Midwest as an orchestral player, chamber musician, and new music interpreter. She has been a frequent substitute with the Grant Park Symphony and with the Chicago Symphony, where her engagements have included subscription concerts, the MusicNOW series, and concerts at Ravinia. She also performs regularly with the Illinois Philharmonic, is a performing member of the Chicago Philharmonic, and in 2017 won the second flute audition with the South Bend Symphony. Since 2011, she has held the Third Flute/Piccolo chair with the Southwest Michigan Symphony Orchestra. As a chamber musician, Eliza has been a member of the Palomar Ensemble since 2015 and has also appeared with the International Chamber Artists, Fonema Consort, and Ensemble Dal Niente. Since 2012, Eliza has been a core member of the new music ensemble a.pe.ri.od.ic, which recently gave the American premiere of Tim Parkinson’s experimental opera Time With People following a Fall 2016 residency at High Concept Labs. In 2014, together with flutist Dalia Chin and mezzo-soprano Kate McDuffie, she commissioned new chamber works from Monte Weber, Scott Scharf, and D. Edward Davis. This project, called “in the same breath,” toured to the Florida Flute Fair and the Omaha Under the Radar festival. Eliza has also recently commissioned a new work for flute and juggler—to be performed with her brother, world-traveling circus performer Luther Bangert—from composer Carolyn O’Brien. Eliza holds degrees in flute performance from DePaul University and the University of Northern Iowa, where her principal teachers included Mary Stolper, Angeleita Floyd, and Torleif Ander. She particularly enjoys playing piccolo, and has coached extensively with the CSO’s Jennifer Gunn. In 2018 Eliza joined the Artistic Advisory Council at High Concept Labs, where she is excited to help support the creation of new art of all kinds. In addition to her performing life, Eliza is an orchestra librarian for the Illinois Philharmonic, Grant Park Symphony, and AWR Music, where she enjoys the opportunity to organize and alphabetize everything in sight. Nomi Epstein, D.M.A., is an active composer, educator, and curator/performer of experimental music. Her compositions have been performed throughout the US and Europe at Huddersfield Contemporary Music Festival, Darmstadt, Bang on a Can, Ostrava Days, and Dog Star, by ensembles such as ICE, Ensemble SurPlus, Wet Ink, Mivos Quartet, Wild Rumpus, and Dal Niente. Her recent conceptual opera, Translation, was premiered by The Industry and Wild Up in Los Angeles in 2015. She is founder/curator of the critically acclaimed, experimental music performance collective a.pe.ri.od.ic, and also performs in the experimental improvisation trio, NbN. She produced the Chicago area 2012 centennial John Cage Festival, co-produced the 2014 Chicago Wandelweiser Festival, and continues to research, write, and lecture on post-Cagean, notated, experimental music. Epstein has served on the faculties of Northwestern University, Roosevelt University, the University of Illinois at Chicago, DePaul University and the University of Iowa. Myra Hinrichs, violinist, is a graduate of Oberlin College and Conservatory and the Civic Orchestra training program. She has spent her summers performing in music festivals including the Barnes Ensemble, Finger Lakes Opera, Aspen Music Festival, and Spoleto USA. She is a member of Chartreuse, an ensemble devoted to performing contemporary music from around the world. She appears with other Chicago ensembles including the Morton Feldman Chamber Players, and Mocrep. She is always up for trying new kinds of music and has played shows with indy bands, folk singers, and free improvisers. In addition to performing, she teaches private lessons in the Chicago area. Composer and singer Kenn Kumpf completed his doctorate in composition at Northwestern University in 2013 and currently resides in Chicago. His compositions have been performed by ensembles such as Ensemble SurPlus, the Carnegie Mellon Philharmonic, a.pe.ri.od.ic, and Outer Voices; and by soloists like Mike Svoboda, Lucas Fels, Peter Martin, Russell Rolen, and Stephen Menotti. He currently teaches composition and orchestration at Columbia College Chicago, and music theory at Northwestern University. As a performer, Kenn has sung in the professional core of the Mendelssohn Choir of Pittsburgh and Pittsburgh Camerata, and has appeared as a soloist with the Alice Millar Chapel Choir, Northwestern University Symphony Orchestra, and Carnegie Mellon Philharmonic. Specializing in contemporary vocal techniques, he has premiered over a dozen solo works and performed with new music ensembles newEar, a.pe.ri.od.ic, and The Music Room. He is the co-founder and music director of Outer Voices, a Chicago-based vocal ensemble that performs repertoire written before 1700 and after 1940. In demand as a freelance chamber musician, he has performed with Fulcrum Point New Music Project, Access Contemporary Music, Fifth House Ensemble, Present Music, the New Millennium Woodwind Quintet, and on the Rush Hour concert series. In addition, he has performed as principal horn of the St Paul Chamber Orchestra, The Florida Orchestra, the Chicago Chamber Orchestra, and Orchestra Prometheus. Robert Reinhart (b. 1975) is a Chicago-based composer originally from Danville, Illinois whose musical influences include timbralism, microtonality, early music, and continua. His works have been performed in the United States, Brazil, Canada, the Czech Republic, Germany, and Ukraine. Reinhart obtained a Bachelor of Music in Composition-Theory from the University of Illinois at Urbana-Champaign, a Master of Arts in Music Composition from San Francisco State University, and a Doctor of Music in Composition from Northwestern University. In 2008 he was a finalist for the Julius F. Jezek prize in composition for his vocal sextet Hexed Painting, and his Praeludium was honored by ASCAP in the 2005 Morton Gould Young Composer Awards. His works have been performed by Ensemble Dal Niente, flutist Maria Carolina Cavalcanti, trombonist Mike Svoboda, composer/pianist Joann Cho, and gambists Mary Springfels and Craig Trompeter. 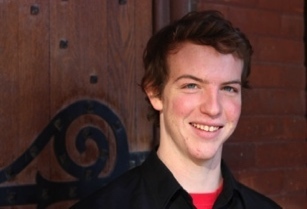 Currently the Coordinator of Sophomore Theory and Aural Skills at Northwestern, Reinhart is also co-director of Outer Voices and serves on the board of Dal Niente. He remains active as a bassoonist, vocalist, and recorderist for the a.per.i.od.ic ensemble, and is the bassoonist of the Triple Reed Trio. Billie Howard is a Chicago-based pianist, violinist, violist, and educator. As a performer, she is inspired by contemporary and experimental music on the farthest ends of the volume spectrum, ranging from the quietest sounds to fully-amplified extremes. She frequently works in collaboration, often with one of her groups: NbN Trio, a.pe.ri.od.ic, The Paver, and Blue Water Kings. She also composes under the moniker Akosuen, which ranges from a solo endeavor to a 6-piece band with chorus. In addition, Billie is a dedicated arts curator and producer, working as the Artistic Director for High Concept Labs. Daniel Thao (b. 1995) graduated from Columbia College Chicago as a music composer and producer. He currently resides in Chicago and is composing/recording music and sounds for local artists. The range of fields he’s tapped into are, but not limited to, animation & film, games, illustration, and photography. Inside of the venue or concert hall, Daniel’s style of composition takes from ideas of new complexity, post-minimalism, and spectralism. Some of his works have been performed by Sonic-Hedgehog, members of Dal Niente, Fonema, and Mocrep, and Columbia’s Chamber Ensemble and New Music Ensemble. Daniel has had the opportunity to study with Kenn Kumpf, Dan Dehaan, Sebastian Huydts, and Drew Baker. His music may be found on Soundcloud at soundcloud.com/danielthao. Egan Franke (b. 1995) is a composer and orchestrator from Indianapolis, IN currently attending Columbia College in Chicago. Born to classical music parents, performance seemed the logical choice for Egan for the first few decades of his life. Once arriving at Columbia College, he realized that composing was his passion and intends to continue his compositional studies in grad school. 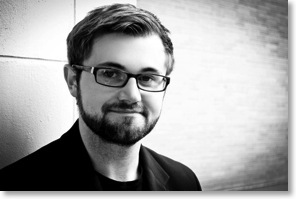 Egan has studied under Chicago composers Kenn Kumpf and Drew Baker at Columbia College. Ben Davis (b. 1992) is a composer and music educator from Richmond, Virginia currently living in Chicago. Ben's music has been performed in the US and Germany by musicians including Ensemble SurPlus, Sinister Resonance, Clocks in Motion, Mark Hetzler, and Doug Lindsey. In 2015, he participated in the Summer Academy for Young Composers at Akademie Schloss Solitude where he studied with faculty members Chaya Czernowin, Rebecca Saunders, and Ming Tsao. Currently, Ben is a graduate assistant working toward an M.M. in Music Composition at DePaul University, where he studies with Christopher Wendell Jones and Seung-Won Oh. Owen Davis (b.1989) is a composer, improviser, and percussionist based in Chicago, IL. He is a driven and adamant advocate of the creation and performance of new music in his community. Owen has been extremely active in projects, concerts, and collaborations that serve to advance creativity and innovation in the arts. He is currently a graduate assistant pursuing a master's degree in Music Composition at DePaul University where we studies with Chris Wendell Jones, Kurt Westerburg, and Seung-Ah Oh.